 The Community Foundation of Southern Indiana was formed by a group of Southern Indiana residents who wanted to build charitable resources that would benefit nonprofits and residents of Southern Indiana, forever. Through their support, and funds from the Indianapolis-based Lilly Endowment Inc., the Community Foundation of Southern Indiana was established in 1991 with nearly $1 million. Throughout its history the Community Foundation has filled an important leadership role in our community. The 1990’s were full of growth as the market surged and helped the Foundation grow quickly with over $1.7 million in grants awarded in 1999. In 2002 the Foundation granted funds to put early warning emergency sirens throughout Clark and Floyd counties. Those sirens still operate today to warn residents. During the 2000’s the Community Foundation went through a number of changes. Scott, Crawford and Harrison Counties were all in the original service area of the Community Foundation of Southern Indiana but, over the years, each community established their own foundations to focus on the needs of their specific region. Since 1991, the Community Foundation has continued to grow – administering over $116 million assets, annually granting more than $4.5 million to causes that impact our community, and stewarding more than 240 individual funds, and providing leadership on important community issues. – Serving as a partner and resource for donors, their advisors, and area nonprofits. – Making it simple for donors to fulfill their individual goals in giving back. – Providing stewardship of donor gifts and charitable intent for generations to come. – Fulfilling a leadership role on important community issues.